We’ve all experienced it before. An online match where the odds are in our favour, the clock is counting down and you’re about to win. Yeah baby, yeah! And then your opponent decides to rage-quit. It’s the digital equivalent of kicking the chess board over when you’re on a losing streak, and something that happened all too often in Mortal Kombat or any fighting game for that matter. 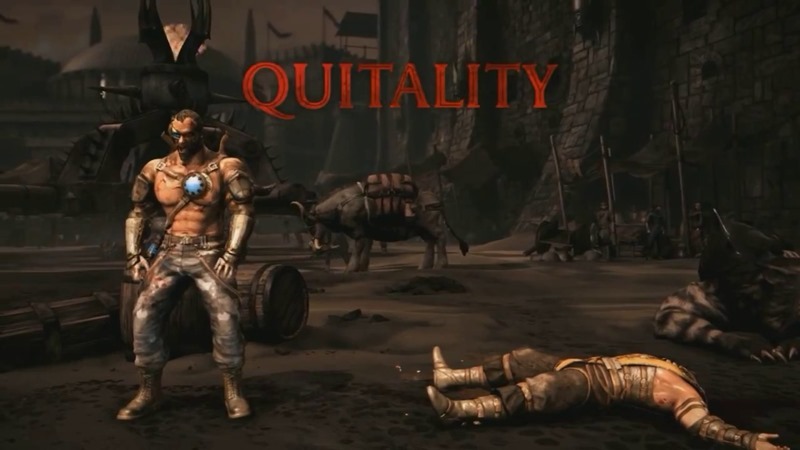 Mortal Kombat X has a plan to deal with that kind of behaviour though. And it’s viciously satisfying. Other details gleaned from the Kombat Kast include variations for Mileena, Takeda and Kung Jin. Mileena has Ethereal (Teleportation skills), Ravenous (Chomp attacks) and Piercing (A mix of projectiles and sais), while Kung Jin can use the Ancestral (Bow attacks), Bojutsu (Bo staff) and Shaolin (Chakram) attack variations. Takeda benefits from Shirai Ryu (Whips and spears), Lasher (electric whip and ranged) and Ronan (dual plasma swords) skills. There’s one other nice bit of info that was also revealed: Mortal Kombat X will allow PS3 arcade sticks to work on the PS4 version of the game. Or at least two of them will. The special fight stick pad that came with Mortal Kombat 9 in 2011 will work just fine, as will the Injustice: Gods Among Us peripheral from 2013. No word yet on if such compatibility will be available between Xbox consoles. Previous article Here's your first look at footage from the ATTACK ON TITAN movie! Next article Could new DLC reignite interest in Evolve?